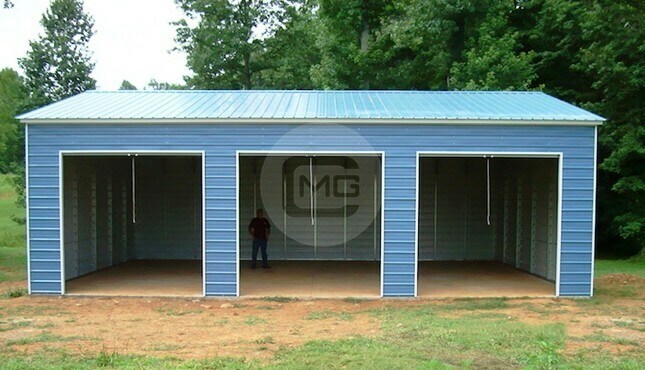 A 2 Car Parking Garage that features vertical roof on 30′ wide x 36′ long x 12 tall. 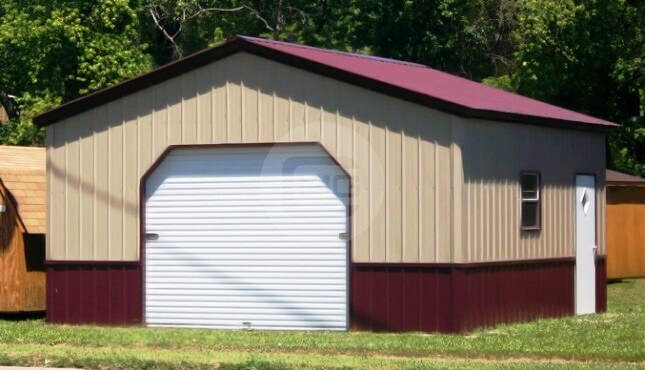 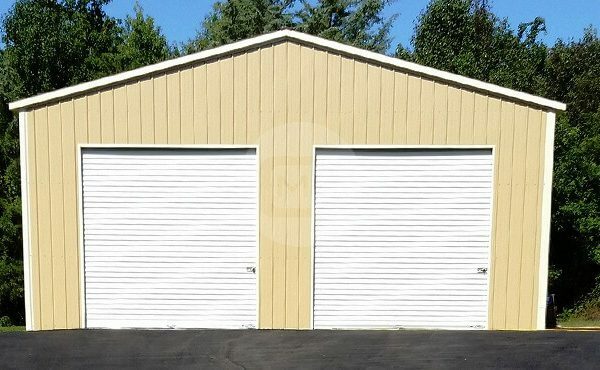 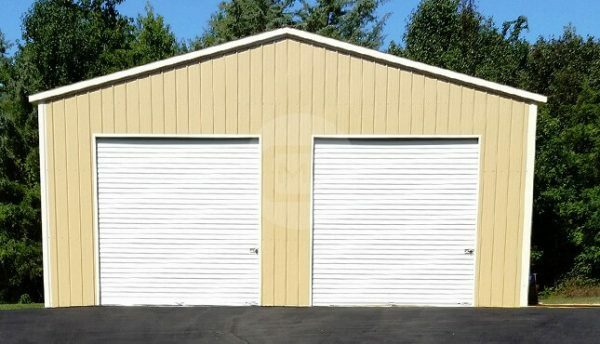 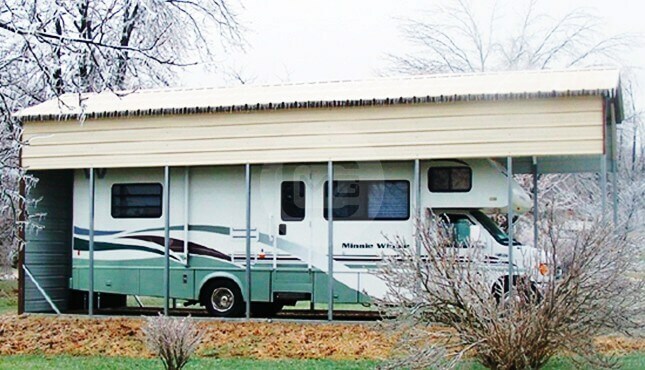 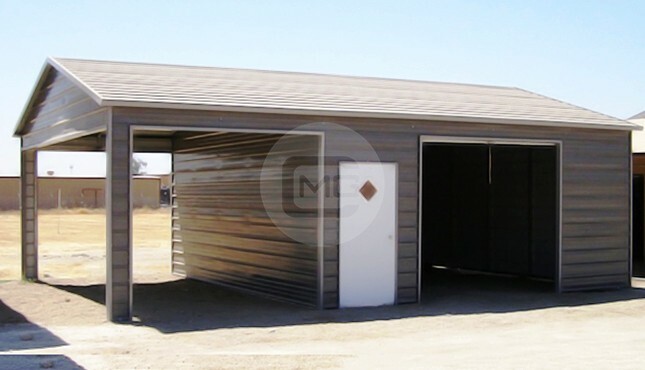 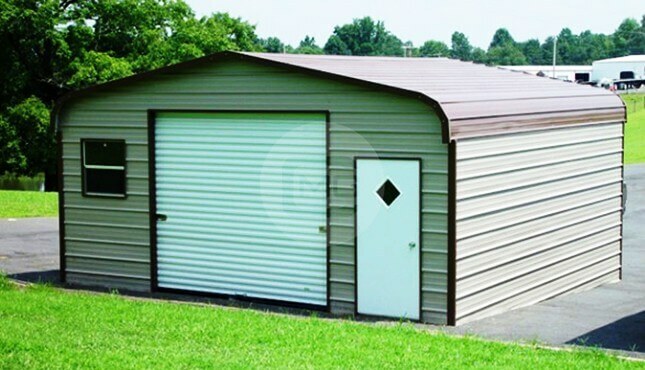 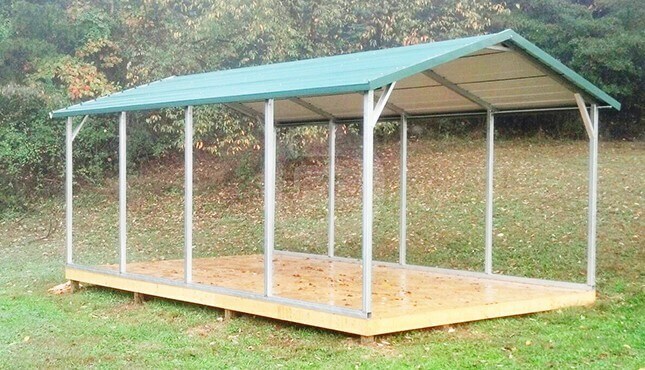 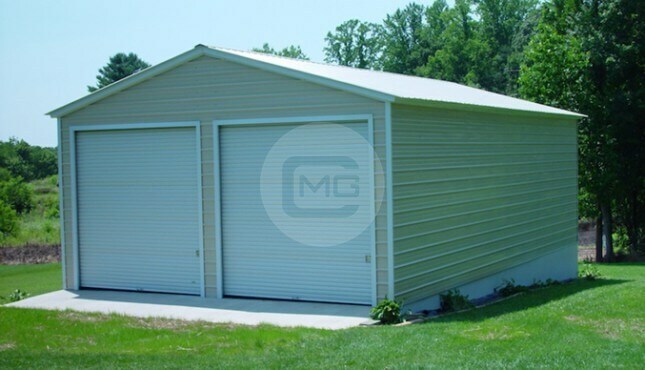 It is fully enclosed by vertical sides and ends, front with 2 (10’x10) garage doors. 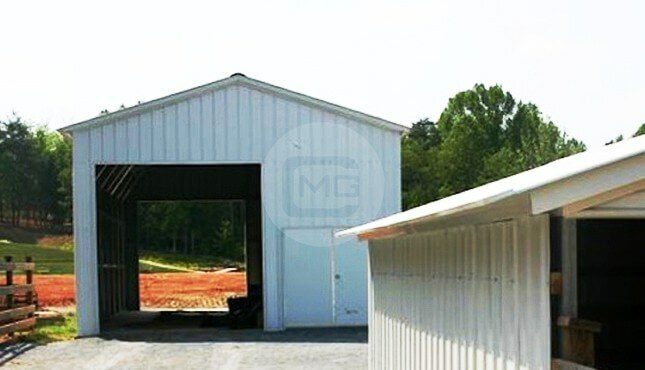 This 2 car parking garage is certified for 140mph wind and 30psf snow load installed in Virginia.